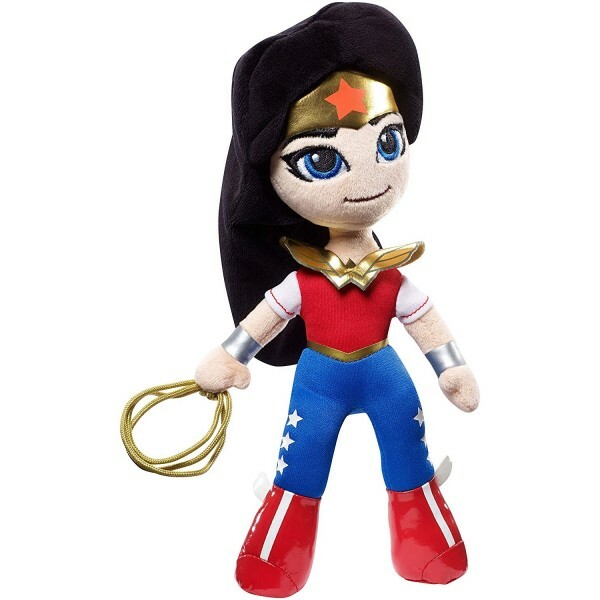 Let Wonder Woman join her on all her adventures with this adorable mini plush! 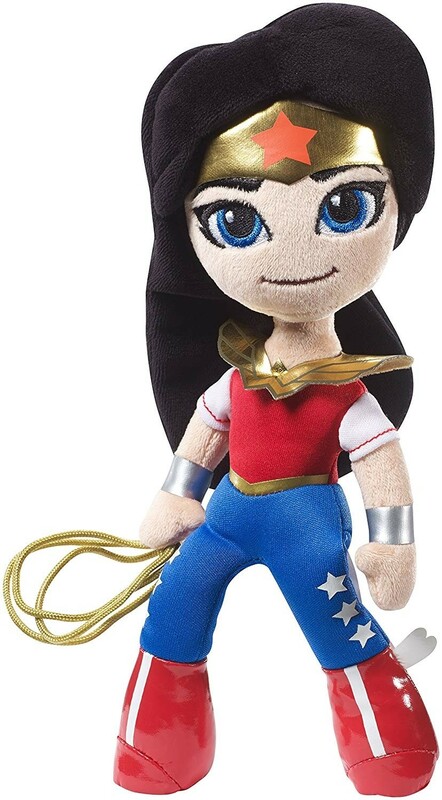 This 10.5" plush is modeled after Wonder Woman's appearance as a high school student in the DC Super Hero Girls. Her outfit includes shiny plastic red boots, smooth silvery gauntlets. and a gold collar. Her metallic golden Lasso of Truth can really be coiled and uncoiled! 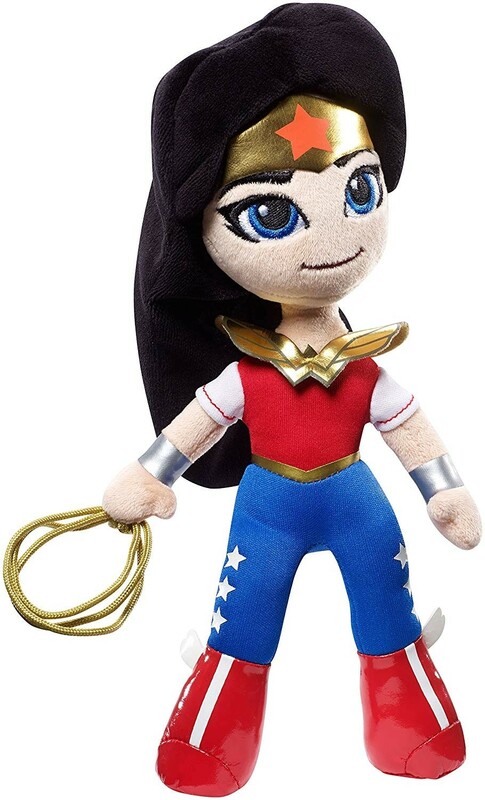 This Wonder Woman plush also comes with sculpted plush hair and embroidered features, so she's soft to cuddle but durable enough to last through plenty of adventurous superhero play. 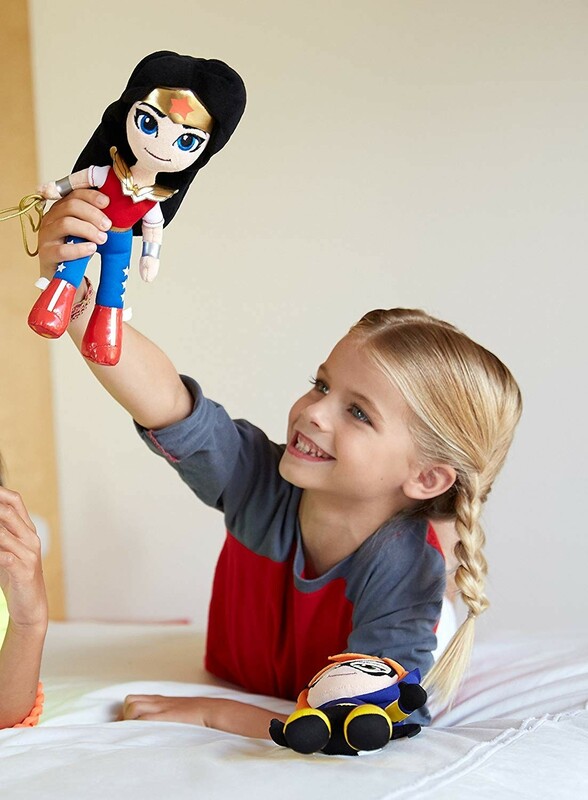 She's sure to be a hit with young Wonder Woman fans.